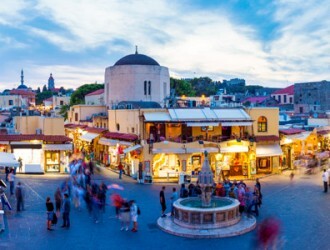 Rhodes town, established 450 B.C. it was the result of the unification of the three major cities that preceded it; Lindos, Ialyssos and Kamiros. It flourished and it came to its acme during the last 4 centuries BC. This was the time that Rhodes gave us the Colossus of Rhodes, one of the Seven Wonders of the World! 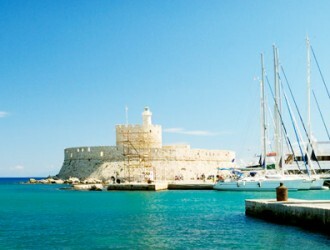 Mandraki harbor was the military port of ancient Rhodes, and its mouth could be shut off by chains. Now the mouth is adorned by statues of a male and female deer (Elafos and Elafina) symbols of the island – which stand on columns. The harbor with its millionaires’ yachts, moored alongside quaint, old fishing boats is an unspoilt place, lined by seaside Cafes. 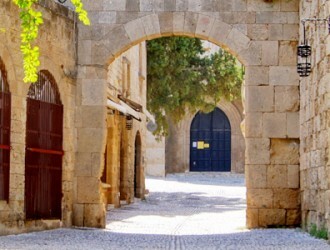 The town is protected by UNESCO and the Greek Archeological Ministry as a gift to next generations. 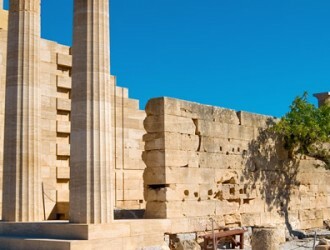 Lindos was founded by the Dorians led by King Tlepolemus of Rhodes who arrived in about the 10th century BC. It was one of six Dorian cities in the area known as the Dorian Hexapolis. 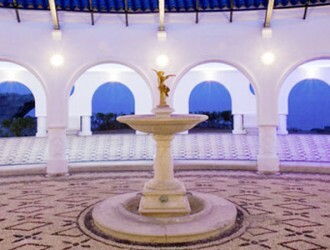 The springs of Kalithea have been known since ancient times. Rising in the eastern and central parts of the island of Rhodes, these legendary spa waters attract thousands of people every Year. Accompanied by their families, many hope to be cured of aliments by the healing water that spring from the rocks surrounding the bay of Kalithea. The Rhodes Acropolis dominated the western and highest part of the city. It was not fortified like most ancient acropoleis. Henry said : "Very pleasant, cheerful, welcoming, courteous and helpful staff - at all levels Excellent ..."
Steve said : "We stayed for a week 7th - 14th May 2014, our 3rd visit to this hotel. The staff are nice and ..."